The age today belongs to social media networks. Almost throughout the day, we tend to fiddle with our phones and check out the social media profiles we have created and glued to. In addition to keeping in touch with the friends around the world, social media networks have been our constant window to the news and entertainment. One of the prominent option to share the content across the world, India has several of its own options specifically created keeping the Indian diaspora and their needs in mind. Let us check out the best social media networks in India. Of course, when we talk about the social media networks, a few names that come to our mind would be Facebook, Instagram, and WhatsApp among a few. But, for the sake of this compilation, we will be focusing on the networks specifically managed for the Indian users. 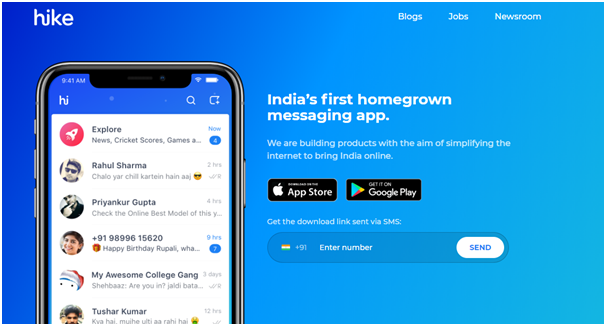 Created by the Indian start-up for the Indians, Hike takes pride in calling itself the perfectly Indian social media network. Launched in 2012, the app has become quite popular with a wide range of users all over the country and offers its services across multiple Indian languages. What makes it one of the best options is it has been opting for new changes every now and then. Some of the innovative features that the social media platform comes with include Hike news, Hike stickers and Hike cricket. The messenger is available in eight major Indian languages viz Hindi, Malayalam, Telugu, Tamil, Bengali, Marathi, Gujarati and Kannada. You also have access to the staple features like groups, voice, and video calling and a thoughtfully planned privacy features. AddaChats, also known simply as Adda is your virtual Adda – if you love the Indian slang. 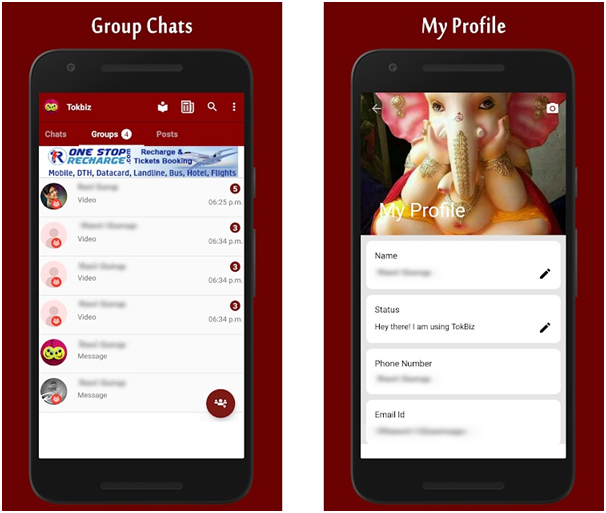 Yet another Indian app for the Indians, it fulfills all the requirements that you are looking for in a Social media network. Once again, it also comes with support for eight Indian languages and lets you converse with your friends and strangers in your native language. The app is available only as a mobile app and lets you interact even with the strangers. 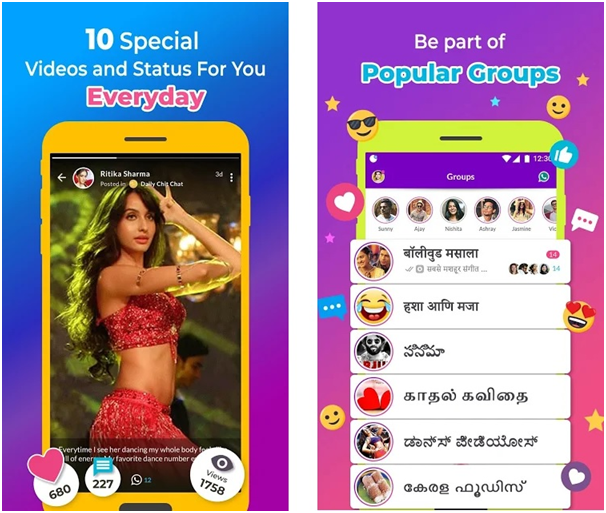 Available in Telugu, Tamil, Kannada, Malayalam, Hindi, Marathi, Bengali, Gujarati, the social media app has become popular, thanks to features like WhatsApp status and stickers that you can download from the service. You can create your own videos and stickers and share them with the world. Top ten viral and trending videos every day is yet another interesting feature you would fall in love with. Perhaps a little lesser known, but still a formidable choice for your quest for the best Indian social media network, Tokbiz combines all the features of WhatsApp, Facebook, and OLX into one. With almost 100,000 active downloads and users, the app has been quite similar to the other popular social media sites. The network is available only as an Android app and has been much popular with the Indian users. It does not need any username and password as it works with your phone number and integrates with your phonebook to connect with the users. 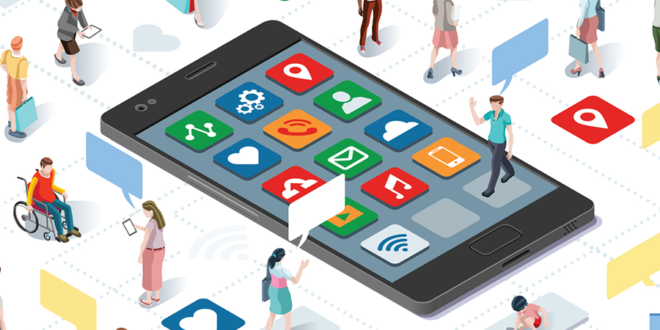 The app supports most of the features that you expect from a social media network, including images, videos and voice messages. Bharat Matrimony may not be a social media network in the strict sense of the word, but it meets most of the requirements of the matrimonial alliances and given the fact that marriage is one of the most important social institutions in the human psychology. Apart from helping you out with the task of looking for the best life mate you have been searching for, it also helps you out with all the other wedding related services like venues, catering, and other allied services at your fingertips. The service has a host of branches, numbering almost 150 throughout the country and has been treated as the elite matrimonial service you would ever find. Moreover, you also have access to the language, region, and community of your choice true to the Indian traditions. That was a formidable list of the Indian social media networks created specifically for the Indian users. 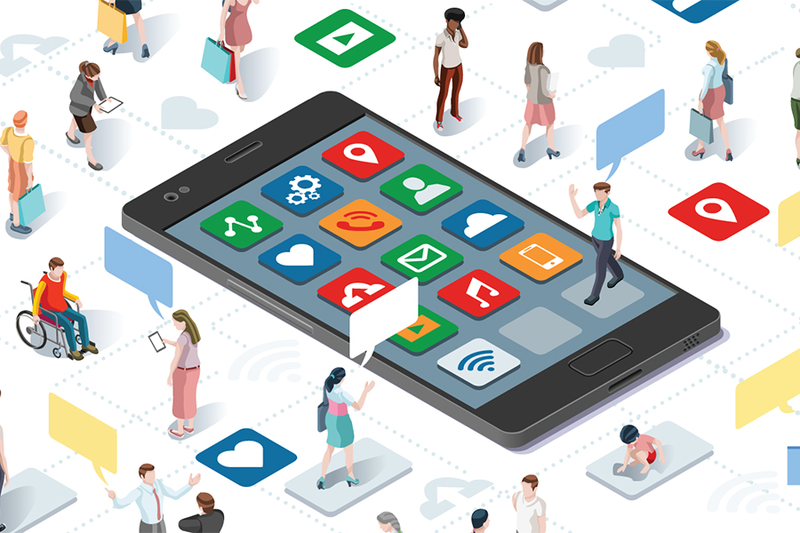 Of course, there are several of them like Facebook, Telegram or Tinder which are used by a majority of Indians, but our focus has been on the services specifically made for the Indian users. Have you used any of the sites we have listed here? Use them at least once and share your thoughts with us. Previous article App Marketing and Mobile Marketing Business: What Should You Know?